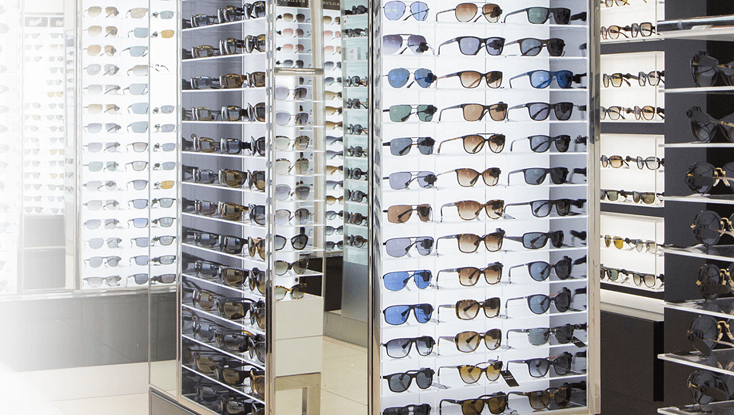 Choose from the coolest high street names to the most sought after designer brands, all with tax free savings, at Sunglasses Boutique at London Stansted Airport. Why shop at Sunglasses Boutique? World Duty Free’s unique Sunglasses Boutique stocks all sorts of desirable sunglasses styles, all with tax free savings. There are over 30 different labels to enjoy, including new ranges from Prada, Tiffany and Gucci; the perennial favourites from Maui Jim, Burberry, Dolce & Gabbana and Police; and the new styles and classics from the ever-popular Ray-Ban. It also has a range of protective glasses for kids. Expert staff are on hand to ensure you have the right advice on style and product features, whether that's the right shape glasses for your face or the benefits of polarised lenses.